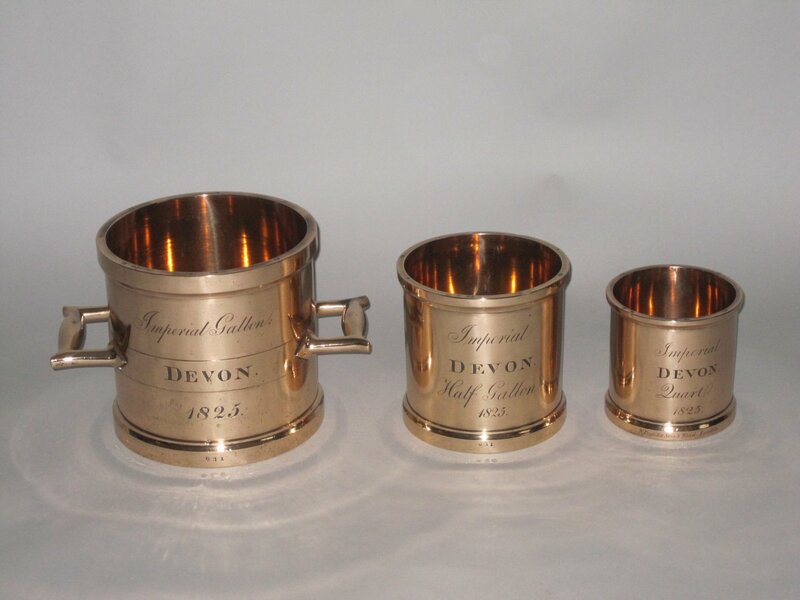 A SET OF THREE IMPERIAL BRASS ALLOY MEASURES FOR DEVON 1825. Comprising: Imperial Gallon, Imperial Half Gallon, & Imperial Quart. Makers Mark of W. Pontifex Sons & Wood London.Recorded working at 48-49 Shoe Lane London as Brass Founders, Copper Plate Makers & Coppersmiths. Very Rare engraved sheild to reverse.